Augustus Funeral Home regrets to announce the passing of Mrs. Rosalie D. Simmons. A Home Going service for Mrs. Rosalie D. Simmons, daughter of John Kennedy and the late Iris Lottimore nee Clarke, loving mother to Curtis and Kavin Simmons, sister to Ms. Jeanette Outerbridge and Brenda Landy, in her 74th year of 2 Spicewood Drive, Warwick will be held at The First of God, Angle Street Today, January 25, 2019 at 2:00 pm. Interment will follow the service at The Wesley Methodist Cemetery. Donations can be made to L.C.C.A. 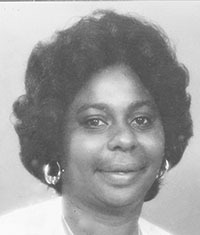 HSBC Bank Bermuda A/C # 010-287209-002, in name of Roselyn E. Simmons. Lovingly remembered by grandchildren: Cristen Suess, I’Diana Simmons; mother-in-law: Ms. Myrtle Burrows; father-in-law: the late Hyel Burrows; daughter-in-law: Fermina Simmons; brother-in-law: Carl and Allister Simmons; sister-in-law: Carmen Simmons; niece: Desire Burrows; nephew: Shyone lottimore; special friends: Carol Tyrell, Paula and Allan Smith, Deborah Bean, Lillian Wilson, Lovie Simons, Jackie Gombes.